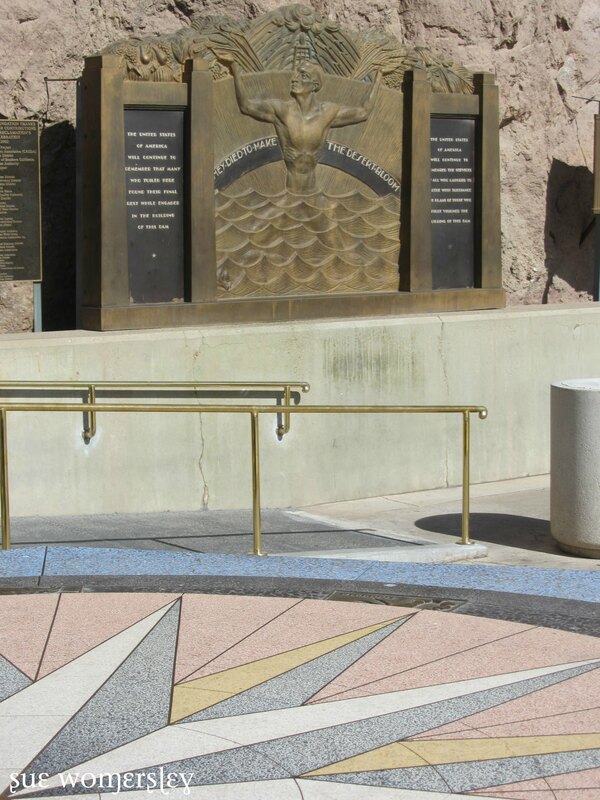 The Hoover Dam was the greatest dam of its day, and the only one of its kind. 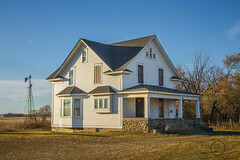 It is still a world-renowned structure and is a National Historic Landmark. 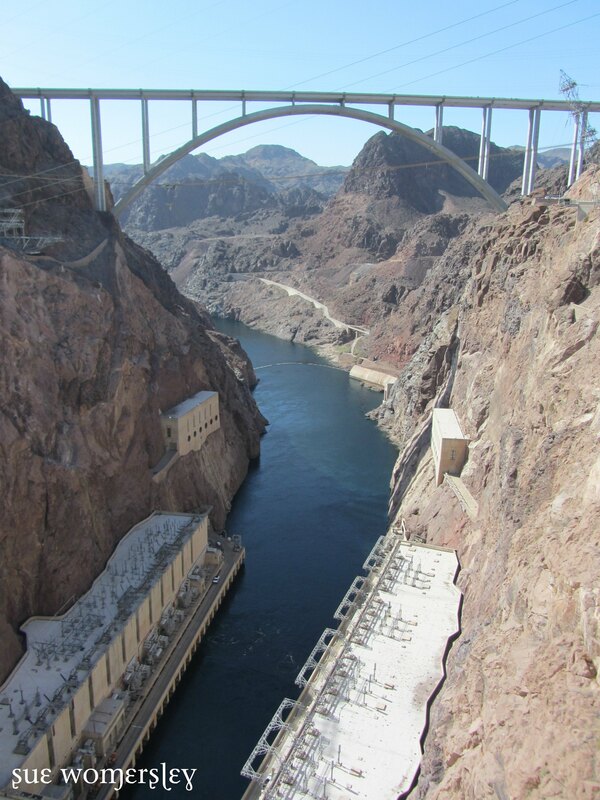 Construction of the Hoover Dam began in 1931 until the last of the concrete was poured in 1935. 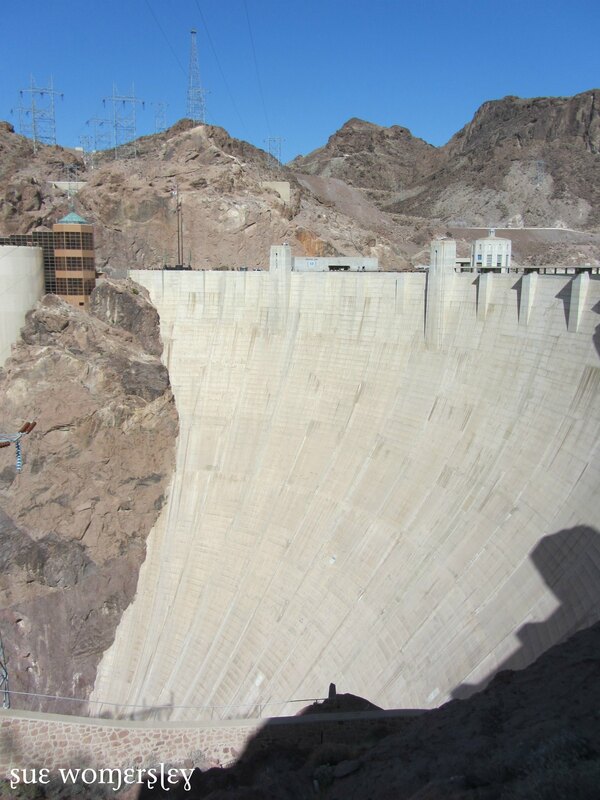 On January 1st 2000, I had the good fortune to fly over the dam in a helicopter en route to the Grand Canyon and its immense size from the sky was phenomenal! 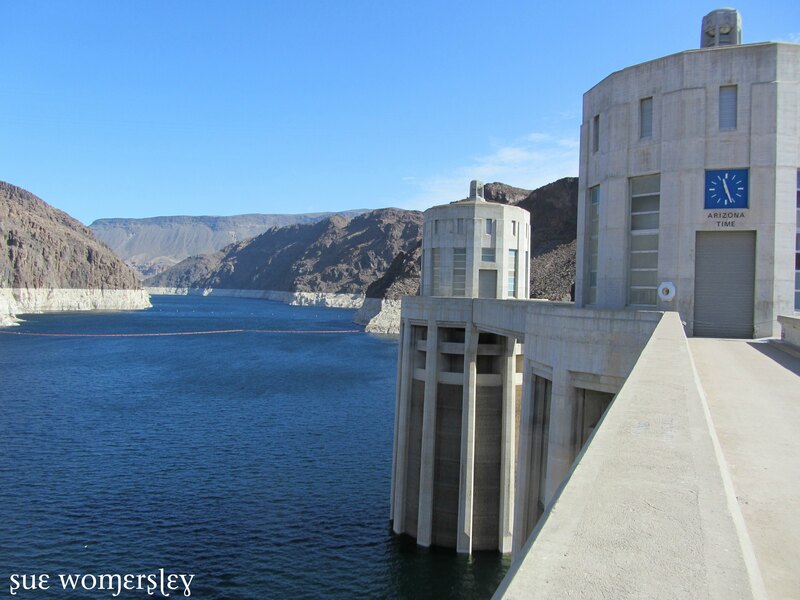 On my recent visit to Las Vegas, we rented a car and drove to see the dam which is less than an hour southeast of Vegas. 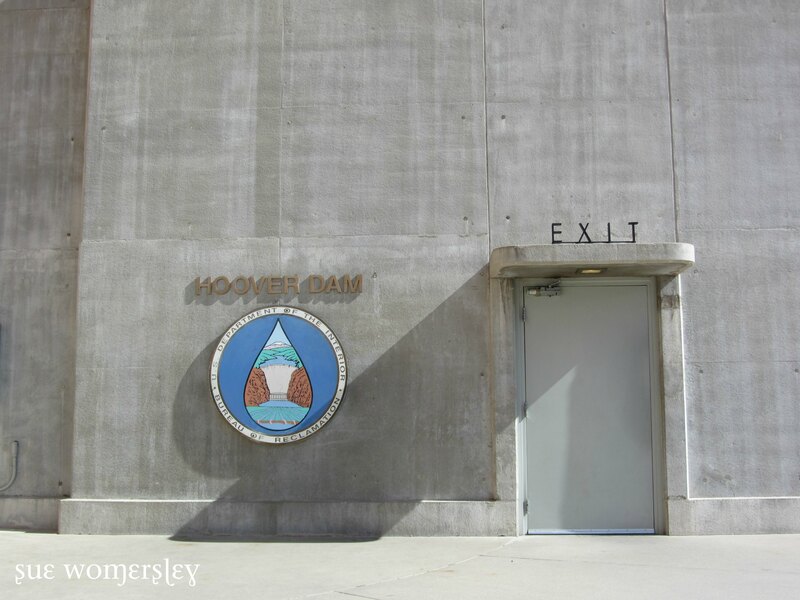 What suprised me most about the Dam was the Deco design. For such a massive industrial project, the design is fantastic. This is the Nevada side, looking up the mighty Colorado river. 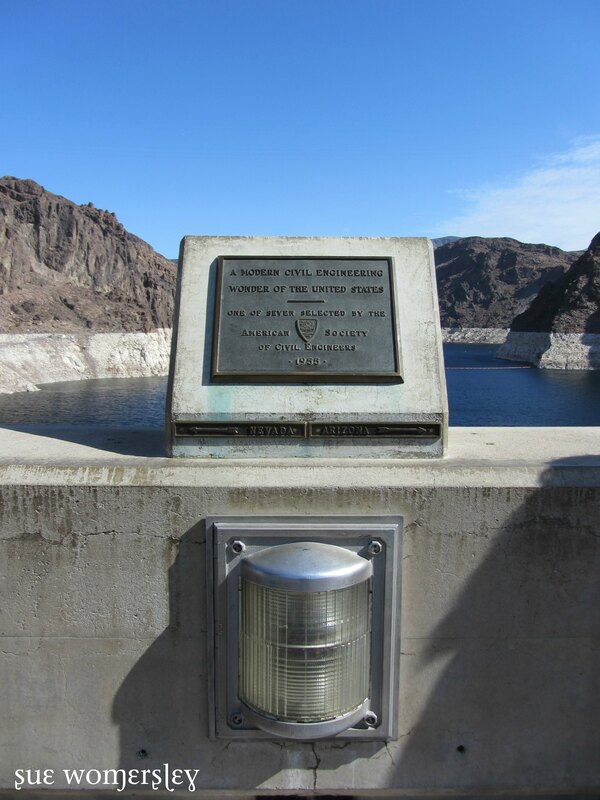 Standing mid span of the dam, this is the State marker. Isn’t the light fantastic? 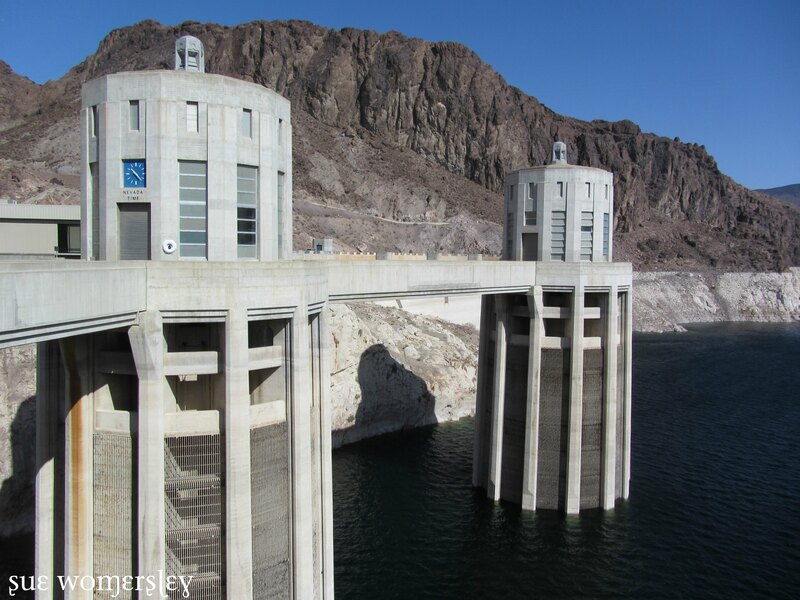 Hoover Dam – the numbers… 3.25 million cubic yards of concrete (2.6 million cubic meters), crest length 1244 feet, crest width 45 feet, base width 660 feet and 726.4 feet high. 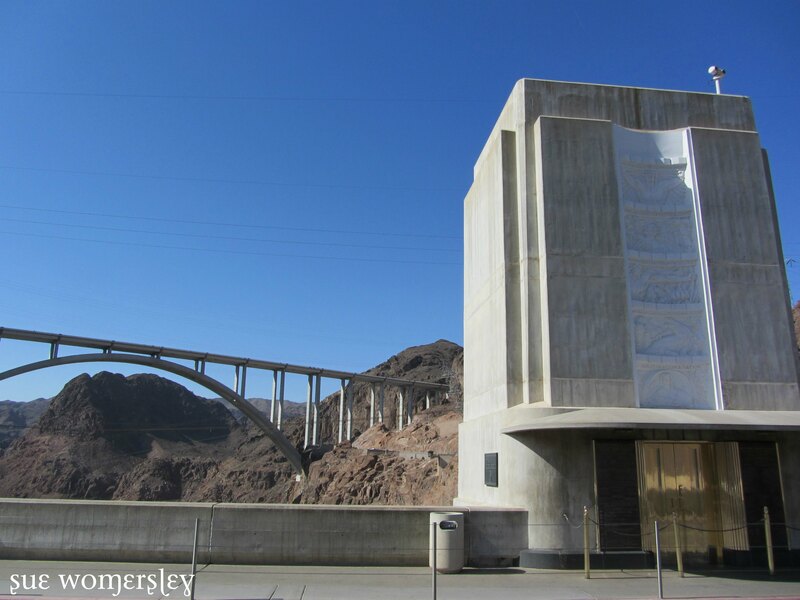 That is the new Hoover Dam Bypass Bridge that opened October 2010. 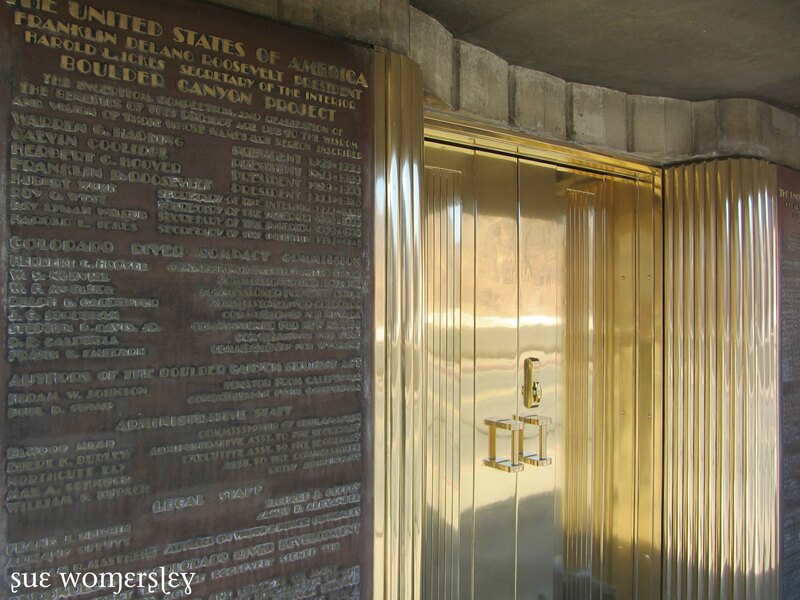 The Hoover Dam included tourist access in its original design, including a Men’s washroom and Women’s washroom on the top of the dam, shown here. I love the Art Deco font on all of the plaques and these original brass doors. 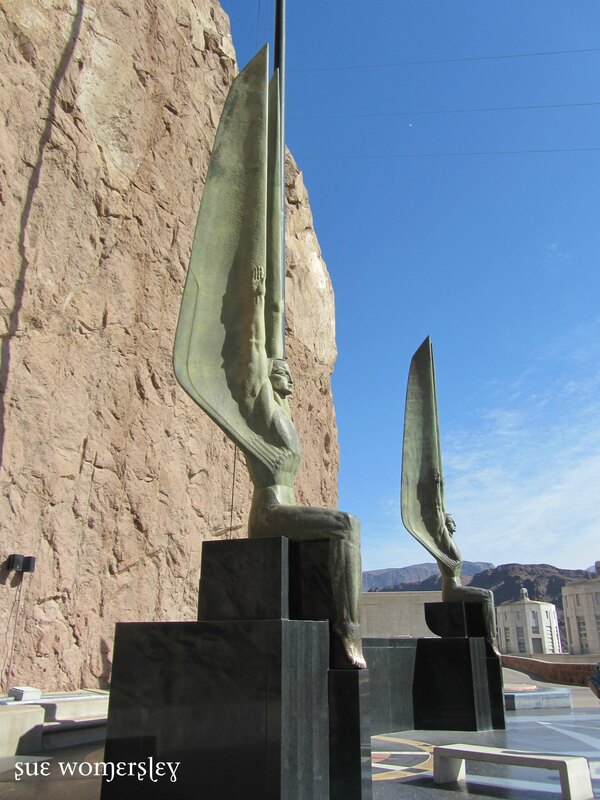 This pair of winged statues greets you on the Nevada side. Legend has it that touching the foot of the statue brings luck. A tribute to the men who died during construction of the dam. Even the exit is Art Deco cool! 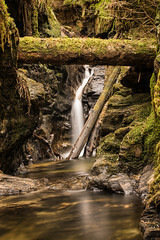 Damn, that’s a good post!